This generic satellite model was created for a lobby display. Although they are not a satellite company, our client wanted to demonstrate how their product offers diagnostic services via satellite connection. Because they are not manufacturers of a particular type, our client was looking for a generic satellite model that looked cool, was easy to build and fit within the available display space. A custom design was created to fit this criteria. Instead of the typical gold or black blanketing found on satellite models, our client decided to have the model covered in their corporate color, red. This made for a unique and eye catching model display. 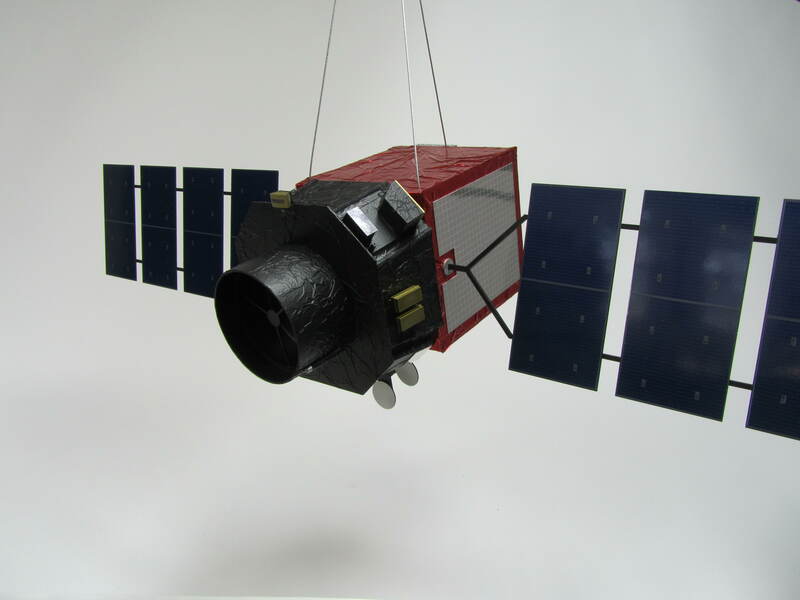 This project was posted in Aerospace & Satellite Models and tagged generic satellite model, red satellite model, satellite model. 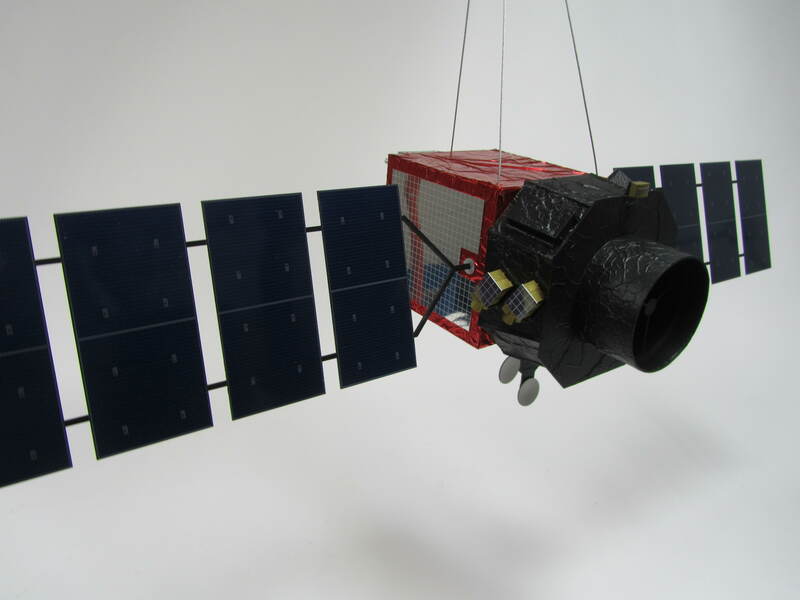 Bookmark this project: Generic Satellite Model.